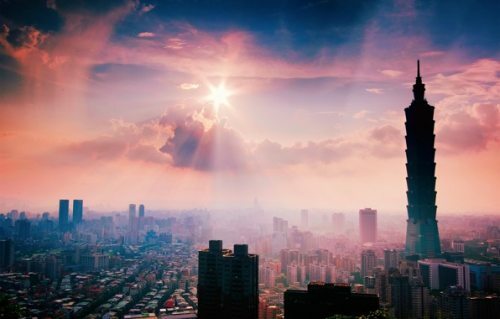 United Airlines has dropped the price of their summer flights from Calgary to Taipei, Taiwan down to a pretty incredible price of $569 CAD roundtrip including taxes. 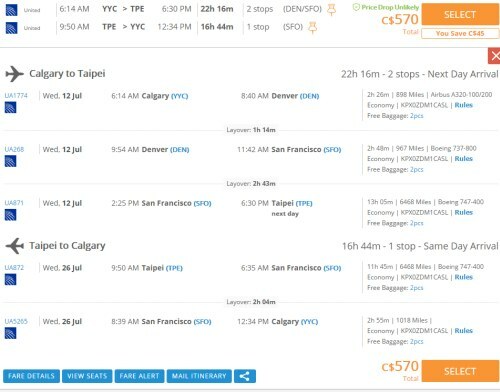 This is a new record for the cheapest flights from Calgary to Taiwan. Yes, United overbooks. And drags people off planes. And breaks guitars. Flights from Calgary to Singapore are also available for $752 to $774 CAD roundtrip. In some cases with Momondo, you need to click on just *any* result that takes you to Fareboom, even when it doesn't look like the correct flights, or ridiculously long flights. Once you get to Fareboom you can select the correct flights. On FareBoom, you'll see a whole bunch of different flight options ranging from $570 to $612 CAD roundtrip including taxes. You can also find flights from Calgary to Singapore (SIN) for $752 to $774 CAD roundtrip including taxes in late August, September, October, and November 2017. And from January to April 2018. NOTE: When you get to Momondo, you should slide the 'Max Flight Duration' slider bar down to around 50h so that you are shown faster flights. Click on the departure date box to open up the calendar view and look for the dates that are $610 CAD roundtrip. NOTE: When you get to Momondo, you may want to adjust the 'Max Flight Duration' slider on the left hand side down to about 40.
calgary, yyc, flight deals, asia, east asia, taipei, taiwan, tpe and united airlines.